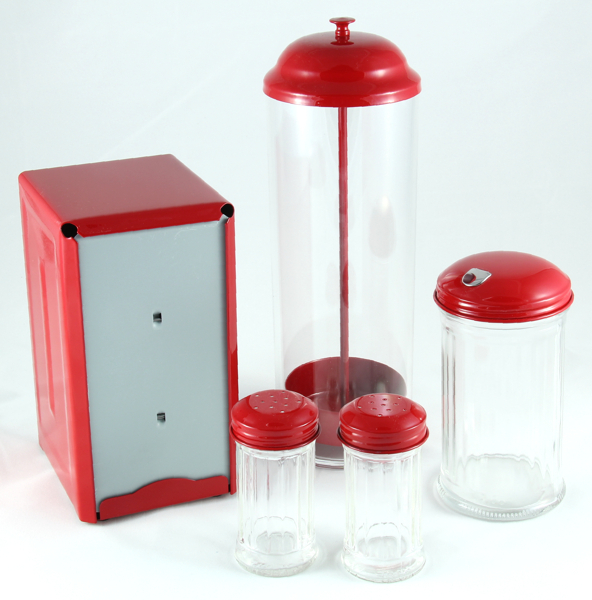 Our Classic Red - Old Fashioned Straw Dispenser will take you back to your favorite 1950's diner. Whether for your kitchen counter, old fashioned soda shop, ice cream parlor or diner, you will make a statement with this nostalgic straw holder. Lift the lid and the straws fan out for easy access. Just pick a straw for your chocolate milk, cherry coke, raspberry iced tea, milk shake or other favorite drink. Approximately 10 3/4" high x 3 1/2" wide. Hold straws up to 8 1/2" long.